A Newbie's Web Dev Journey | Wiser from my travels. Greetings fellow travellers. Yes, it’s been some time since my last post. I seem to have gotten off at an exit only to find myself back on the same highway. I’m stuck in a loop but can’t find the End statement. A little lame programmer humor for you. The story is that I had a freelance job here and there, nothing big. Did some dog sitting for a friend, which was a delight but kept me busy with two silly dogs in the house instead of just the one. Dealing with some back problems but that seems to have turned the corner now (acupuncture, who knew?). Also my ongoing struggle with depression, sigh. In other words, just been busy with everyday life in my cartoon household. But now I have a few new goals and projects and some more classes that I have completed. So on with the show. If you remember, I took a class called Affiliate Marketing Beginner: Sell T-Shirts With TeeSpring. The instructor was kind enough to offer his Advanced class to those that finished his Beginner class. I completed that class and learned more in-depth information about using Facebook for marketing. Again, the courses were at Udemy.com. I haven’t followed up with selling a t-shirt in earnest although I do have some designs for sale at Spreadshirt. Without doing in real marketing as of yet because I don’t have the budget. However I did sell one shirt there just by being listed in their Marketplace. I’ll follow-up on the t-shirt endeavor later because I have a new project in the works. You can see the latest list of Certificates of Completion at the top left sidebar of the page. My boyfriend is an outstanding guitarist and an equally fabulous teacher. He has come up with a series of guitar lessons aimed at children although, they are ideal for any beginner. We’ve decided to combine our talents and offer the lessons online. That means I have to really get it together and know what I’m doing to successfully make his site user-friendly so the visitor can easily purchase lessons and download the digital files. Lo’ and behold I received another email from Udemy about Infinite Skills having a sale on their classes. I’ve been happy with their classes in the past so I checked it out. I’m now in the middle of a class called Using WordPress for ECommerce. It only cost me five dollars! It’s turned out to be one of the best classes I’ve taken. The instructor speaks English clearly, very knowledgeable of the subject and the material is extremely comprehensive. It covers all sorts of shopping carts and checkout software and plugins. I highly recommend this class to those interested in the subject. There is even a section on how to use WordPress to sell digital files, but I haven’t gotten there yet. I’m so happy that I got that email from Udemy right when I needed it. I don’t think I have to explain how a project like this could be a strain on our relationship. My boyfriend and I just need to be patient with each other and keep our sights on our goal. LOL. So I shall leave to go back to studying. I’ve got air in my tires, checked the oil and got a Big Gulp. See you in the fast lane! You know the reason why there is so much time in between my posts? I’m busy struggling with my latest tutorial or project. I doubt that I have to tell any of you that nothing works the way the instructions say they will. As a wise and very funny woman once said, “It just goes to show you. It’s always something”. What an accurate description of web development and of course, life. And if you don’t know who that woman is, ask your parents. This is going to be a more detailed post, so get a beverage and settle in for a few minutes. I’m getting closer to actually selling something on the web which means picking a Content Management System. Do I use Shopify, WordPress, Facebook, Joomla! etc? Or build a stand alone site and use a crowdfunding site? I thought I would give WordPress another look since it is so very popular and it would be to my advantage to understand it through and through. But I don’t want to have to develop my site online. This meant that I needed to set up a localhost. Localhost refers to the local computer that you are running your program on. You can view your site in your web browser but it doesn’t go out on the web, or WAN, it all remains on your computer. The localhost has the IP address of 127.0.0.1, this is called a “loopback” address because whatever information is sent to it is routed back to the local machine. This is great for template and theme designers. I really didn’t think this was going to be such a big deal because I did my entire PHP course locally, about a year ago. But no, it wasn’t as easy to setup as I thought. I know, when will I learn? This is not an instruction on how to set up XAMPP on your Windows computer, there are plenty of sites for that, but this is a “diary” of the problems I encountered. Maybe reading this will help you one day. If anyone is even reading this. By the way, if you are reading this just leave a comment to at least say, “Hi”. It would mean a lot to my self-esteem. Better yet! Follow my blog! Maybe one day I’ll bother to SEO this blog. So distracted today, where was I, oh yes. Let me first start with a little rant about port 80. If other software is using port 80 then it interferes with localhost, which defaults to port 80. Just so you will all know, apparently Skype defaults to port 80 as well and will always, always conflict. So you either have to change the port number for your localhost or for Skype. Or, make sure you don’t have Skype running while using your localhost. This one problem has caused many, many people to seek out a solution and they don’t always use nice language like your lovely designated driver. Ahem. Seriously, you would not believe how many forums and support pages are full of desperate people seeking help over this. I’m not a programmer or expert, but who the heck decided to use a port that they know is going to interfere with the localhost listening port? Was it REALLY necessary? Sheesh. Anyway, even though I refuse to put Skype on my computer, I still had to change my port to 8080. At the XAMPP control panel, Apache “Config” button – choose “httpd.conf”. Scrolled down to line 58 and change “Listen 80” to “Listen 8080”. Scroll down to line 219 and change it to “ServerName localhost:8080”. Save and close. The main problem is that I can’t just have the default localhost/ in the address bar, I have to type localhost:8080/ every time. Bah! Hahahahaha…sorry, that made me laugh. Actually, it would be easy to setup if it weren’t for the port conflicts and the somewhat vague directions in setting up parts of myphpadmin regarding user and password and the editing of certain config files. One of the first instructions I was given from a professor online was to remove all anti-virus software and to set Skype and VMWare not to run at startup. I’m not saying this is the gospel truth but he swears that if you have Win 8 or 8.1, all you need is the built-in Windows Firewall and Windows Defender. Use the Task Manager’s Services tab, (Ctl+Alt+Del) to find out which services are automatically starting when you computer boots up. There you can disable any that are causing problems. Then restart the computer. You aren’t disabling the programs, just disabling them from automatically starting when you turn on your computer. If you still continue to get an error that a service is still currently running or open in another place, quit XAMPP, go to your Task Manager and if the programs that you quit appear in the list of services running, quit them. Then start XAMPP again. I must stop here and say that I had to do this many times. Often I would make a change to my settings in the XAMPP config file and need to stop and restart the services for the changes to take effect. Sometimes I got an error on restarting the service so I would quit the control panel, open the Task Manager and I would find XAMPP was not only listed as running, but it was listed twice. Once msqld was listed as well. Quit the programs that were not suppose to be there because you closed them and reopen XAMPP, and carry on. It makes no sense, this is a wild guess but maybe it’s a caching problem? I wanted to be able to work on WordPress files in this environment because WordPress uses PHP. After I had XAMPP, which is Apache, MySQL, PHP and Perl installed, I downloaded the latest version of WordPress, extracted its contents and copied it all into the htdocs folder in the XAMPP directory. While setting up XAMPP I had to give MySQL a Password, but I left the user as the default “root”. For XAMPP Directory Protection (ht.acess) I set up a Username and a Password. Clicking on the Admin button next to Apache in the control panel, I accessed via my browser, the XAMPP page that had many menu choices. Toward the bottom under Tools I clicked on phpMyAdmin. This is where it got sticky, but eventually I gave the correct password to get in. It was only sticky because I had done the steps several times and got confused. This is why you should have a dedicated notebook by you. I write down the steps and passwords as I go. Oh yes, also in the XAMPP control panel, for MySQL there is also a Config button. I opened the my.ini file and filled in the password. See below. I found that this solved “one” of my problems. Save file and close. This step is crucial to WordPress recognizing the database so it can populate it. If all goes well, then you may type in your browser’s address bar “localhost:8080/wordpress” and you should be ready to rock and roll. As I mentioned I had to change my listening port from 80 to 8080 for localhost to work. Your experience may vary. In the interest of full disclosure, after starting all over several times, I gave up. Not completely. I tried WAMP and although I miraculously had no port 80 problems, I still couldn’t get WordPress up and running. So, I was more determined than ever to force XAMPP to work. After more resetting names and passwords and databases and stopping the software and starting it again, plus doing the Task Manager shuffle…I got it to work. I felt like I deserved a medal! I was so tired because this was a four day ordeal. I kid you not, maybe I’m just that thick. But hey, I’m learning all of this stuff on my own. I don’t have a mentor or even a friend that I can ask about this stuff. While I was searching for answers online I came across a tuts+ article that I bookmarked for later. Now that my localhost problem was solved. I thought I’d look at the tutorial, “The Command Line for Web Design”. I have to say that I learned a lot and was impressed at the speed of installing software on the command line. And then, I was told to look in my “build” folder and I would find my new CSS file. It was empty. So somewhere I didn’t do something right and I think I know where to start looking. If you are crazy curious about learning as I am, I added a link on the sidebar for you to check it out. If all goes well, maybe I’ll tell you about it at my next road stop. This morning I innocently went to my localhost:8080/wordpress and received a “cannot find database” error. What? It worked just a few days ago. NOW it doesn’t? I spent most of today fixing that, again. This road trip down web dev lane is not for the weak of spirit. I think it’s time for a well deserved snack. Have fun learning everyone and wear your safety belt. And your thinking cap covered in tin foil. Take Cover! Computer Related Explosion! You guessed it, Under Pressure. Now, although this post isn’t specifically about web development, it is about what every computer user faces at one time or another, usually while on a tight deadline. My WAN connection blew up. Oh how I hate troubleshooting. One minute, everything is fine and the next minute I lost internet connection. Yes, we paid the bill and the other two computers in the house were functioning just fine. I had just started a game plan for my first endeavor into internet sales and marketing and this happened. I was close to grief stricken. In fact, I had missed several doses of some of my anti-depressants and was emotionally tenuous already. But that’s another long story of dealing with doctors that don’t know how to fill out a prescription correctly! Anyway, I donned my deerstalker hat and I spent the entire night and most of the next day looking for clues (oh wow, good Robert Palmer song, btw). Once I realized that I couldn’t fix the problem on the Win 8.1 laptop, I went to my old Win XP laptop, still chugging away, and started searching with Google for answers. As usual, many others had the same problem happen to them, but with a few differences. The clues I had come up with so far was from the Windows network troubleshooting guide, telling me I had “limited” connection and there may be a problem with the network adapter or access point. After some more digging around forums and such I went to the official Dell site and looked up my model of laptop to see what updates were available. No less than fourteen were necessary updates! How did I not know about them? Thus began the long process of downloading them all, copying them to a flash drive and using the old sneakernet to copy them to my Dell laptop, (because my backup drive is not showing up on the wifi network either). So I copied the updates to my hard drive and began running them one by one. Some of them requiring a restart. Oh, and I did remember to write down which order the updates were to be performed. Somewhere in the middle of the updates I noticed that the caution icon disappeared from my task bar. And yes, I think it actually was the network adapter software. This took a very long time to do and yes, there were tears involved before I figured out what to do. But even then, I wasn’t certain it was going to work. Ah technology…only great when it is working. I was feeling pressure because I was so close to reaching the first step in a goal and then boom! Not having enough medicine in my system exacerbated the problem to say the least, not to mention my boyfriend asking me “what’s wrong?” What do you think is wrong? You know what is going on. Don’t ask me that again! Sorry, heh. He’s a sweet, patient man but, seriously? I love him. All of this happened Monday night, most of Tuesday and then I passed out. Oh yes, since my last post I completed two more short courses from Udemy.com. “How To Start An Online T-Shirt Business Using Shopify”, and “Affiliate Marketing Beginner: Sell T-Shirts With Teespring”. See the new and improved fonts on the certificates of completion by clicking on the link in the sidebar. Maybe someone finally told them what everyone was saying behind their backs. Hah! The Shopify T-Shirt class was a total bore and I didn’t learn much since I had already taken a class in how to setup and use Shopify. Thumbs down for it. The Affiliate Marketing Beginner course did teach me how to place Facebook Ads, find your niche market and hone into the people that spend their money online, plan campaigns, budget your campaign and when to kill a campaign. So that really was worth the ten dollars I spent for that class. I can use that information for selling anything, not just t-shirts. Thumbs up on that one. I need more info like that class because I’m gearing up to start selling. Let’s Go Shopping! You first. I’ve decided not to let my disappointment of my last online class get me down and move on. A while back I took a course in Shopify at Udemy.com. A week ago I went to Shopify to look around again. I feel that knowing a shopping cart/e-commerce software package is a good idea. Shopify, Magento and Bigcommerce are some of the more popular ones. Magento looks intimidating at the moment so I decided to look deeper into Shopify. This time, I signed up as a Shopify Partner. This way I could build my shops in development mode and test orders. Someone from the Shopify research team contacted me and said I will be assigned a partner manager. I explained that I’m very interested in learning their software so that I might do work for Shopify customers that need help with their store site. They were very polite and very encouraging. We’ll see where that goes but it could mean having a decent source of clients, without having to go out and beat the bushes looking for them. At least I had plenty to do while the weather was acting fierce outside. Sleet, freezing rain, snow and back to rain. I live in the South, it’s not supposed to snow here! But when I’m studying, I’m very focused and the weather didn’t hinder my concentration. You may notice that I have a Creative Market logo on the side panel. They approved me to be a “partner” and allowed me to have my own link to their site. And it really is my favorite site to browse and buy stuff. So if you go there, please use my link as you doorway. 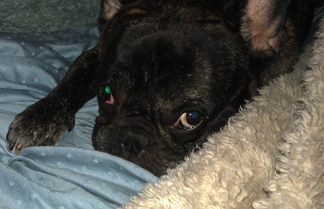 Percy needs kibble you know, and how can you deny that face? Did Anyone Get the Tag of the Code That Hit Me? Oh my goodness. Your intrepid web dev traveler is still alive and kicking although I do feel as though I was blind-sided. I’ve spent many hours working on my current online class, Develop A Responsive Bootstrap 3 WordPress Theme: Make More!, and finished the course. I did not however, finish my project correctly. Not yet, but I’m still troubleshooting it. I’ve posted questions in the Q & A comments section of the course and although I received prompt replies, they were quite vague. When you post a question, you need to be very specific and give as much information, or even code snippets, so you can get an informed answer. I must not have communicated my problems well enough. I have to say that if you take this course from Udemy, first, take a class or tutorial in Bootstrap 3 and have a little knowledge of the admin area of WordPress. There are tons of free guides on the web. Luckily, since I took a PHP class, the functions used when slicing up the Bootstrap code were not alien to me. However, for a true beginner, you will just have to type what the instructor says and just trust him and move on. This is my third attempt at a tutorial on the subject of porting a Bootstrap site to WordPress. Each time, the end product is never like the example. What I’m getting at is that it must be a user error. Somewhere, I’m just not getting it and no one so far has been able to explain the process simply and in order from start to finish. I want the site that I create in Bootstrap 3 to look the same once it is in WordPress. Silly me, I thought that was the point of building in Bootstrap 3 first. Maybe the answer is to skip that step and just build the whole thing in PHP. Sure will slide into WordPress easier. I did remember that while I was on my blog hiatus, I took a class at Codecademy on Ruby. Really enjoyed that one and it truly is easier than PHP. Then, low and behold they offered a class in Making a Rails Application. I was so excited because the class was using Ruby On Rails and I really wanted to dig into that. But… the rails went around a mountain and ended, with me and my enthusiasm plummeting into a canyon, a la Wylie Coyote. The course was and probably still is in Beta version. Many things did not work, mainly the built-in browser so you could view your design in real time without uploading anything. This means that I completed the course without ever actually seeing what I built. It’s true, I passed all the sections, my code was fine but I never saw a preview. The reason I was so jazzed about this class was that the goal was to build a e-commerce site, exactly like Etsy. Would have been cool, huh? So at the moment I’m keeping an eye to see if they fix the problems and then I’ll go back and start over. I do have a Ruby On Rails course ready to take at Udemy but I’m trying to be practical and stick to achieving my short term goals first. I want to share with you some new resources that I’ve recently discovered. They may have been around but they just came on my radar. 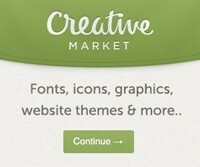 For images, icons, backgrounds and photos, creativetail.com has a great selection and yes, freebies. Now, I really recommend looking around stockfreeimages.com. As stated on their about page, “All images downloaded from Stockfreeimages are licensed under the Royalty Free license which means you license the image once and then you can use it as many times as you like, with just a few restrictions”. And their search engine is great for finding the perfect image to fit your concepts. Finally, you are going to love the list of resources found in a blog post at Envato Market! http://marketblog.envato.com/resources/free-resources-developers-2014/ You may be there for a while, I mean 50 Free Resources. I’m still browsing through the list myself. I’ll save some more goodies for the next blog post. It’s now time to dust off the grime of post-class disappointment and get right back to troubleshooting. Or maybe have some coffee. Whatever. I know that I don’t like the sound of sleet hitting my bedroom windows. Today should be interesting. Udemy.com – Classes, courses in many subjects including programming. Some free! W3Schools – Educate yourself! The largest web development site.